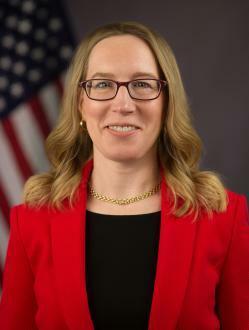 And judging by SEC Commissioner Hester Pierce's "I Dissent" response and tweet exclaiming "Apparently, bitcoin is not ripe enough, respectable enough, or regulated enough to be worthy of our markets. I dissent"
...we suspect she feels the same way. I am persuaded that the rules of the exchange satisfy the Section 6(b)(5) standard. As detailed in the exchange’s proposed rule filing, the shares of the Winklevoss Bitcoin Trust (“Trust”) would trade under BZX Rule 14.11(e)(4), which governs the listing and trading of Commodity-Based Trust Shares. This rule would require the ETP shares to meet initial and continued listing standards.It also would impose obligations on registered market makers in the shares intended to deter market manipulation and other misconduct, including limitations on certain trading activities and a requirement to make available to BZX certain records of transactions by such market makers.BZX would have the ability to halt trading in the ETP shares, including in response to market conditions that are inconsistent with the maintenance of a fair and orderly market. These requirements together convince me that BZX’s proposal to list the ETP shares under its rules is consistent with Section 6(b)(5). 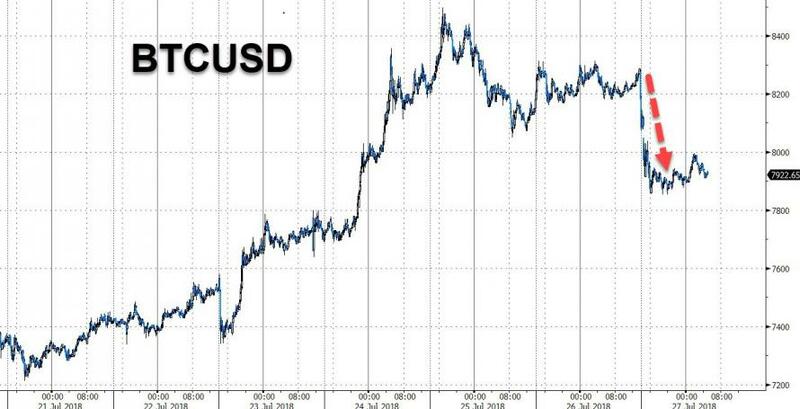 Even if I accepted the majority’s approach and focused on the underlying bitcoin markets, I would reach the same conclusion. As an initial matter, I am not convinced that the Commission’s emphasis in recent orders on whether there is a “regulated market of significant size” for the underlier, as that phrase is interpreted by the Commission in the disapproval order, is the appropriate test under our prior approval orders. It is well established that privately generated regulation can be effective at achieving well-functioning markets even absent government regulation. In any case, the relevant market for purposes of this proposed listing, the Gemini Exchange, is in fact regulated by the New York State Department of Financial Services.Moreover, BZX has entered into a surveillance-sharing agreement with the Gemini Exchange, the closing auction price of which would be used to calculate the net asset value of the ETP.